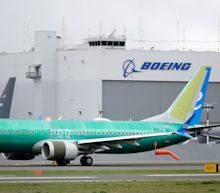 The earnings extravaganza continues on Wednesday with reports from heavyweights Boeing before the opening bell and Facebook, Microsoft and Tesla after the closing bell. Elon Musk is looking to replace your Uber and Lyft rides with robo taxis. In a presentation to Tesla investors, Musk said that by the middle of next year more than a million driverless Teslas will be on the road. Yahoo Finance's Jen Rogers, Myles Udland, Brian Sozzi and Brian Cheung discuss. Yahoo Finance's Alexis Christoforous, Brian Sozzi, Scott Gamm join Tematica Research Chief Investment Officer Chris Versace to discuss what is moving the markets. After a rough start to 2019, Tesla Inc (NASDAQ: TSLA) investors have a key fundamental catalyst on the horizon this week when the company reports its first-quarter earnings on Wednesday. Tesla shares have been caught in a bearish channel since the stock peaked in December at around $380. Since that time, Tesla has made a series of lower highs and lower lows, the hallmark of a bearish technical trend. Following its daylong presentation on autonomous cars Monday, Tesla will report first-quarter earnings after the market close Wednesday, with analysts concerned over downbeat results. At Tesla's "Autonomy Day," CEO Elon Musk said the company will have a million robotaxis on the road in 2020. Autonomy Day served to distract from Tesla's recent operational challenges ahead of the company's first-quarter earnings report on Wednesday. Tesla has been promising self-driving cars since 2016. "All Tesla cars being produced right now have everything necessary for full self-driving," CEO Elon Musk said at the event. Three years ago, the company began working on its own chip dedicated solely to powering autonomous driving functions. The plan is to have full autonomous driving capabilities rolled out by year's end and to have a fleet of robotaxis operating in 2020. Twitter beat EPS estimates by 40% reporting an adjusted EPS of $0.21 for the quarter compared to the $0.15 estimate. This quarter Twitter reported 133 million monetizable DAUs demonstrating 11% growth from the same quarter last year and 22% growth from Q1 2017. Wednesday, billionaire tech titan Elon Musk told a Reddit user they "should interview at Tesla" based on a post the redditor wrote about the electric car-maker's autopilot system. Reddit user "greentheonly" posted a pretty technical analysis of upcoming hardware and software updates to Tesla's autopilot technology back in January. Then on Tuesday — after Tesla tweeted a list of the self-driving hardware now being built into its cars — someone shared a link to the Reddit post, tagging Tesla and Elon Musk. On Monday he took a swipe at semiconductors, arguing that his own engineers have created technology that puts chipmakers’ efforts in the shade. Musk also knocked other approaches to building systems that will make human drivers redundant and made claims about the way Tesla is bucking conventional wisdom to tackle one of the most complex engineering problems today. Here is a fact-check of the technology behind driverless cars. Tesla (TSLA) hosted its Autonomy Investor Day on April 22. The event was live-streamed and featured presentations by CEO Elon Musk, as well as from members of his autonomous driving development team. Musk made a number of big claims and promises during the event, by far the biggest of which was the announcement that Tesla would have an operational robo-taxi fleet in 2020. Rawlinson, who joined Lucid in 2013 and held the role of the chief technology officer, will be replacing Sam Weng, who is also the company's co-founder. Rawlinson, who will also retain his role as CTO, was the Model S engineering chief for three years from 2009. Lucid, which has more than $1 billion investment from Saudi Arabia's Public Investment Fund, said Weng has retired following his 11-year long tenure with the company.